After her first encounter with the Cheshire Cat, Alice wonder is more confused then ever about who she is, and where she belongs, or even where she came from. She’s not quite sure if her adventure with Professor Pillar was real or just a figment of her imagination. But, When kids all over the city start loosing there heads and having them placed inside of watermelons, Alice must head out with Professor Pillar yet again and try to stop the death of millions. When Jack Diamonds returns in an attempt to help Alice, Alice finds that this time she must know who he really is and maybe…just maybe who she is. This book ddefinitivelyasks more questions that will bring this reader back for the third book craving answers to everything. I know I for one will be one of those readers. The Characters are wholly likable and fun and well imagined by author Cameron Jace. This is an adventure that crosses into the world of fantasy, and insanity. This book will make you stop, and think as you race along with Alice to find all the answers before it is far to late. Cameron Jace is bestselling author of the Grimm Diaries and Insanity series. A graduate of the college of Architecture, collector of out-of-print books, and obsessed with the origins of folk tales and the mysterious storytellers who spread them. Three of his books made Amazon’s Top 100 Customer Favorites in Kindle 2013 & Amazon’s Top 100 kindle list. Cameron lives in California with his girlfriend. When he isn’t writing or collecting books, he is playing music. At one point or another we all question who we are? Where we came from? What brought us to the point we are in our lives. In Insanity, Author Cameron Jace does this in such a fun and imaginative way. Alice Wonder killed all her friends, including her boyfriend, or did she? But what does it matter when the world at large things your insane and have locked you up and thrown away the key? That’s what Alice Wonder thinks, and she couldn’t be farther from the truth. 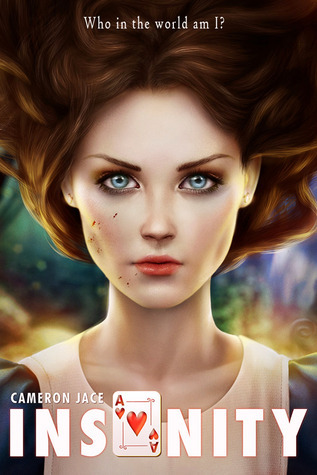 Cameron Jace is at it again with his new take on the Alice in wonderland story. Alice Wonder has been locked up for killing her class mates in a horrible bus crash. And there is a murderer who has a set of plans that are most sinister. And now Alice is in a race against time to stop the Cheshire cat from finding what he’s looking for. This book was read in one night and it was purely amazing I kept going, I need to sleep, and then my brain would go. NO I need to know what happens to Alice next and so I kept reading. 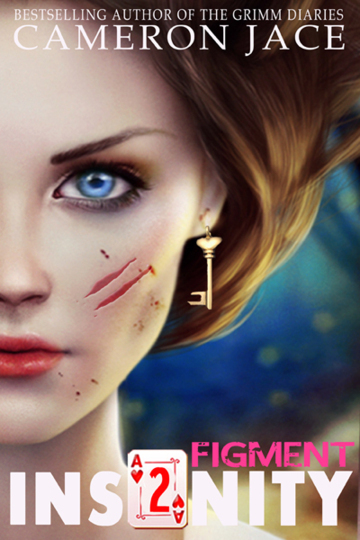 The story is face paced and well rounded, the characters are well developed and thought out. I personally found myself quickly attached to Alice and her companions and found myself wanting to know more about her and the people surrounding her. This book is a must read if I do say so myself, and I highly highly recommend this book. Make sure you check out Insanity today, because Insanity 2 will be released soon, and this is straight from the author himself Cameron Jace.